The second edition of the “Pink Slip Party” was held last Thursday, May 3rd, in the old Damm brewery located in Barcelona. Three consultants from Talent Search People (Cristina González, Miriam Cuartero and Gianluca Guerrato ) had the pleasure of sharing an evening with great professionals interested in being active in the labour market. The Pink Slip Party is a non-profit event which aims at connecting unemployed professionals and recruiters while using the "excuse" of listening to a top speaker. In this case, the key presentation was about personal branding and job searching. The idea was first seen during the outbreak of the companies ".COM" in the United States. 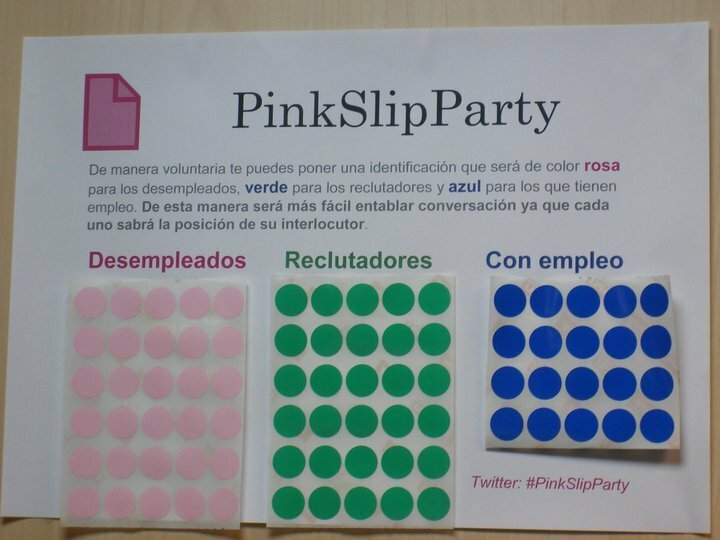 The Pink Slip Parties were born in reference to the "Tea Parties" and with the clear idea of activating the job search of those who were without work, to put them in contact with recruitment agencies, headhunters, HR managers, or just with other people in the same situation. The name of the event comes from the color of the paper (pink) which is typically used by U.S. companies for the “separation notices”. If you want to see some pictures and a video with comments from those attending the Pink Slip Party in Barcelona, we invite you to visit our Facebook fans page.